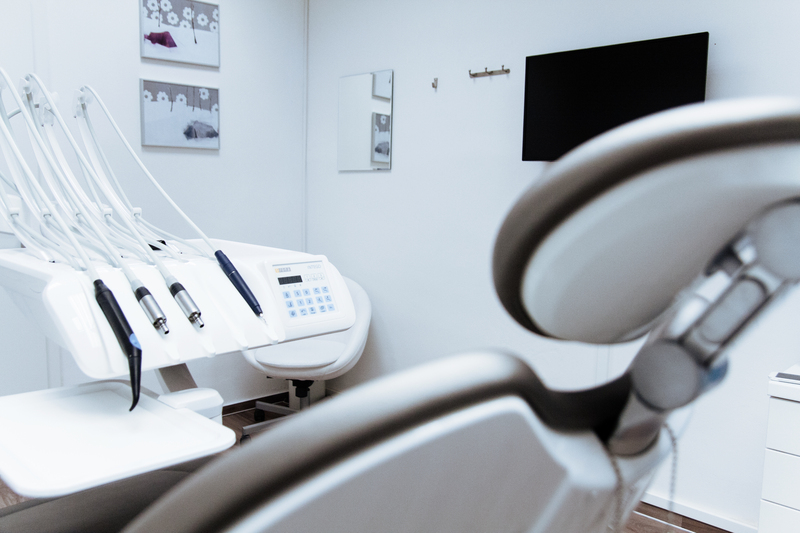 Handheld X-Rays have been an appealing solution to many offices who like the idea of avoiding the cost of purchasing an x-ray for every operatory. However, before deciding if this solution is right for your office, it’s critical to know the entire picture. While the cost savings of not buying an x-ray for each operatory is attractive, there are six hidden pitfalls about handheld x-ray units that could have an impact on your practice. 1. It’s harder to take consistently good x-rays with a handheld. The reason for this is that handheld x-rays emit x-ray at a lower power than a high-quality wall mounted or mobile x-ray. The key spec to examine with a handheld is the amperage, or current output, which is designated in mA (or milliamps). Many of the handheld x-rays have an output as low as 2 mA or 2.5 mA, while a wall mounted or mobile x-ray is typically about 8 mA. X-Ray power is proportional to the mA, so if all other parameters are similar, a 2 mA handheld generates an x-ray with about one quarter of the power of an 8 mA x-ray. When output power is lower, it is harder for the sensor or film to separate the signal from the noise, and this can result in lower image quality. With a handheld, a typical approach to compensate for this lower power is to increase the time of the exposure. However, with longer exposures come additional challenges in keeping both the patient and the x-ray still. Maintaining this stability for the duration can be challenging for some offices. 2. Forgetting to charge the handheld x-ray may disrupt your office. Most of the handheld units operate on a lithium-ion battery pack, and many cannot be operated without a charged battery. Usually, these battery packs last about 100 – 200 images. The challenge that many busy offices have is that if it’s not someone’s job to charge the battery pack when it’s needed, it may not get done. Eventually, this means that at some point, there is a good chance that your staff will grab the handheld with a patient in the chair, and it will be dead. Having a back-up battery pack may seem like a fail-proof solution. However, if that back up wasn’t placed on the charger, or if the back up wasn’t used for an extended period of time, then the back up may also be dead. 3. The hygienist has to carry the handheld during the radiological exam. Most of the handheld units weigh about 5 lbs, which is about the same as a large bag of flour. Over time, this additional fatigue can weigh on the staff. Also, because the operator no longer has free hands, the unit must be put down to make adjustments to the patient, which can further reduce productivity. In addition, because the entire weight of the unit must be held up and supported by the operator, aiming the unit freehand becomes more challenging. Also, remember that because of the low power level, more precise technique is required to get a good image. Yet, it’s harder to achieve good technique because it’s a heavy item that must be operated “freehand”. 4. There will be a longer wait between exposures, so studies may take longer. The duty cycle (sometimes called the “duty factor”) tells you how long any x-ray needs to wait before it’s ready for the next shot. It represents the ratio of the exposure time to the wait time. Some wall mounted and mobile x-rays have a duty cycle that is a ratio of 1 to 15 (usually represented in a spec sheet as 1:15). This means that if the exposure lasts one quarter of a second, then the x-ray will be ready in less than 4 seconds (15 x 0.25 = 3.75). Many handheld units have a duty cycle of 1 to 60 (1:60) or worse. Therefore, that same quarter second exposure now means the operator has to wait 15 seconds until the next exposure. However, remember that a common way to compensate for the lower power is to increase the exposure time. Therefore, this wait time can be even longer if the exposure time is increased. If you increase the exposure to 0.5 seconds, now the operator has to wait a half minute between exposures. If you apply this to an adult FMX study, this can equate to almost 10 minutes of extra time per patient. Also, as mentioned above, the hygienist is carrying the handheld unit for some part of this extended period which contributes to fatigue, which can further hinder her ability to use the good technique required to get good images. 5. Distance is one of the most effective protections against radiation. For the operators that are using the equipment day in and day out, they are the ones who are most at risk of long term exposure. All things being equal, the effective dosage when you are one foot away from a radiation source is 100 times the effective dosage as when you are 10 feet away from that same source (for the math geeks following at home: it is an inverse square relationship). 6. Regulations on handheld x-rays vary by state and by manufacturer. Because of the concerns that the regulating bodies have with safety of handheld x-ray units, they are monitoring these products very closely. As a result, each state approaches them differently, and many of them create unique rules for different manufacturers. These regulations can vary from requiring additional protective aprons and gloves for the operator, to requiring that the office institute a radiation monitoring program. Some models may even be illegal in certain states. For many offices, there is another option that provides the same, if not better cost advantage as the handheld, while at the same time avoiding the concerns mentioned above. This is the Mobile Intraskan DC Intraoral X-Ray from ImageWorks.